Thirty-one year old Coriyon Kenny faces 20 to life if found guilty of murdering a 19 year old male in April of 2016. Kenny was married to the victim’s aunt at the time of incident. Officers arrived at the crime scene earlier that day in response to a verbal dispute between the victim, his aunt, and Kenny. Officers returned to the same location in response to a 911 call regarding a shooting around 1:00 AM. 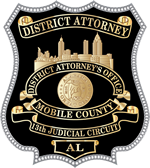 The victim was found in critical condition in one of the apartments on Callhoun Rd in Mobile, Alabama. 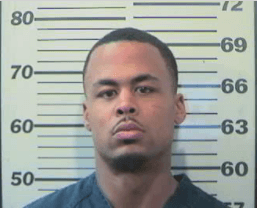 The victim was then transported to the University of South Alabama Hospital, where he eventually succumbed to a gun shot wound to the face. One eye witness claims that the victim and Kenny were arguing in the bedroom of the apartment when Kenny produced a weapon and subsequently shot the victim in the face. Kenny’s trial begins on August 13, 2018.